1. Sources of Landscaping Design services ,conceptualization ,planning & feasibility services anaylsis. 2. Soil reconditioning,water testing ,fertilizer & manure management. 3. Shrub trimming ,lawan moving , flower bed care. 8. Hard Landscapping – Footpaths ,Road surfaces,Courtyard paving ,steps of entrances,car parking areas ,Krebs ,Edging & preformed channels ,Fencing Gates & boundaries. 9. 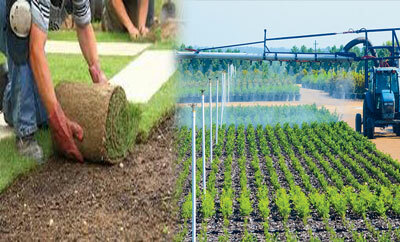 Soft Landscapping – Grassed Areas ,Horticultural works ,office palnts & flowers .